My mother once told me something so powerful, so poignant. She said, “a quality education is a gateway to everything else in life.” I believe in this statement and in its truth. But, as much as I cling to this mantra, I am equally as aware of the unfortunate reality in that education is not an equal opportunity for all. 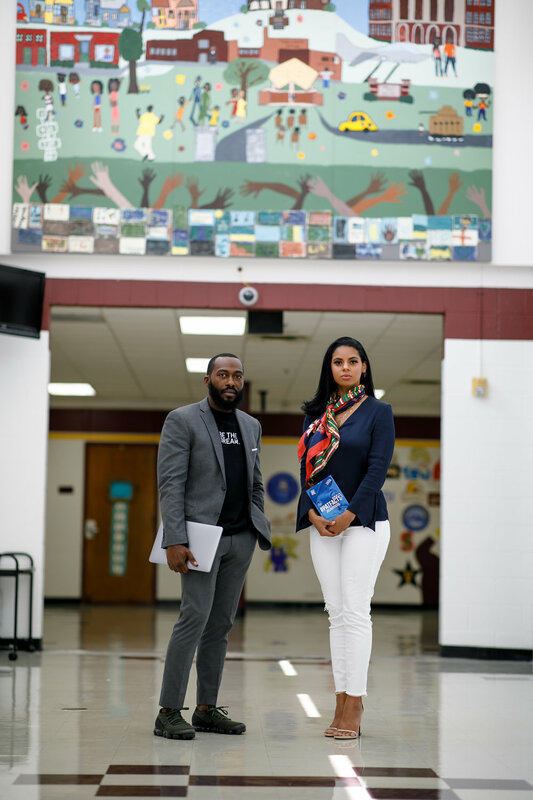 Our communities are overwhelmed with young people whose pillars of success are unjustly unattainable simply because they have not been given the gift of a proper education. I have personally seen statistics that state that students who attend underperforming and under-resourced schools will most likely perform below grade level in both reading and writing. This setback will undoubtedly only lead to a decreased ability to navigate through society with ease. In the long run, it can hurt their pursuit of a higher education which often impedes their quality of living in years to come. It has to be our responsibility as a society to ensure that ALL students receive the education they deserve! This begs the question; if we are failing in supporting our students, does this also mean we are failing to adequately support our educators as well? Has the career of teaching become what many consider to be a downgrade in life? Have low wages and unfit working environments impacted the quality of our classrooms? Are our educators undervalued, underappreciated, and overworked? I believe the role of a teacher is an honorable one. Teachers shape and change each of our lives and more often than not, for the better. So, if this is the case then why does it seem that Americans devalue the importance of this profession? I don’t know about you but, I know some AMAZING educators that deserve our support and access to our resources so that they can better serve OUR youth. Patrick Walker-Reese, MPA, is one of these individuals. Mr. Reese, as his students respectfully call him is an established and celebrated speaker and educator. 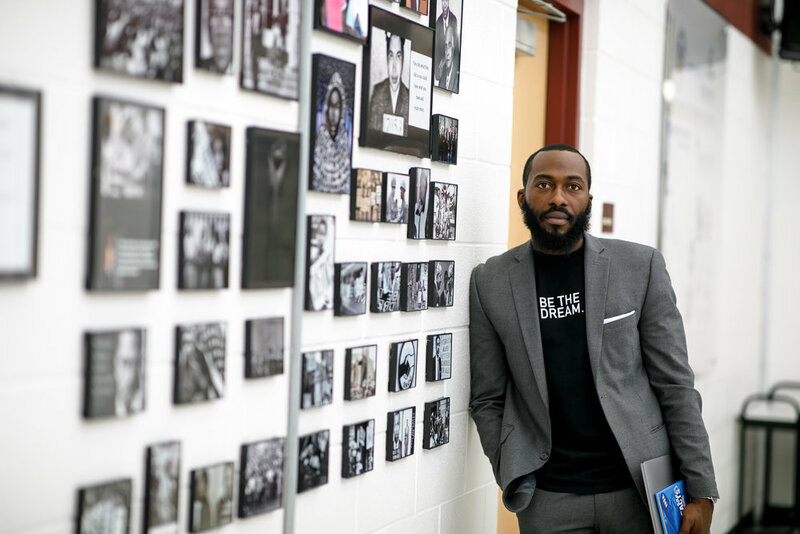 The Co-Founder of Aspire is passionate about his students and communities he serves. He deeply cares about the welfare of everyone he encounters. When he is not teaching in the classroom, he travels the country as a motivational speaker. He is committed to encouraging students and adults alike to tap into their potential and strive for greatness. He speaks on topics such as how to find your passion, leveraging strengths and mapping out a vision that leads to success and happiness. As a published author, he uses his book “Pat Facts,” (available on Amazon) to spread his message and goal to change the world —one dream at a time. 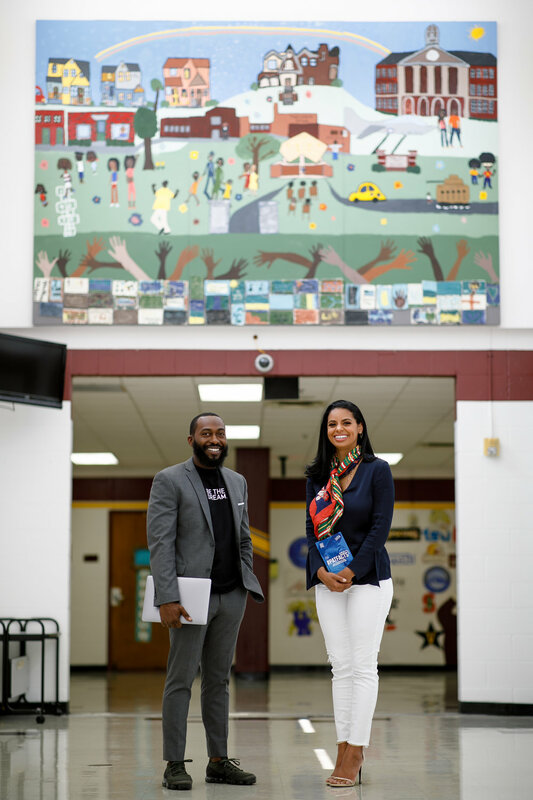 During my Nashville adventures, I interviewed Patrick and learned more about what fueled his passion to serve children in under-resourced communities. He has made it his life’s work to inspire and empower our youth. And this is Mr. Reese’s...why. DS: What was your “ah ha moment?” A moment where you realized that you could make a living pursuing your passion and purpose. PWR: Throughout my life, from participating in church plays, school performances, and even forensics class, I always knew that I had a gift for public speaking. I knew I could communicate in a way that moved people. This skill set has always come naturally and only progressed as both my personal life and my career developed. My moment of clarity was when I heard about Eric Thomas. I saw his Guru speech which I used to create millionaire patterns and was so intrigued that I kept following his journey. I heard him say that Nike gave him 10k for a speech and I was immediately like; I can do that, I want to do that, I want to touch people and build in that way. DS: From your perspective as an educator, what are the most pressing goals and challenges that our generation is facing? How do we avoid apathy and pursue problem-solving to help our youth achieve great things? PWR: There are a ton of social and structural problems in education. However, the most pressing challenges as it relates to public education in our country is exposure and access. We have to expose students and communities to quality education and the benefits of that education. They have to be able to see, touch, hear and taste it. Education has to be a hands-on experience. Access to resources and experiences is also a major factor. Students and families have to have access to the resources that make the education valuable. One of the reasons some communities struggle with understanding the value of a quality education is because we perceive the “pay-off” is so far down the line and not a proven or quick ROI. We have to provide access to resources that will help families now and show them the long-term benefits of a quality education and how it positively impacts generations. DS: What are the toughest issues that we face when educating our black and brown youth? How are you helping to combat the statistics as an educator? PWR: The most pressing issue for our black and brown youth aside from access to quality education and exposure is representation and value structure. What our black and brown young people see and believe is killing them. Literally, mentally, and spiritually. I often tell people I don’t have problems with shows like Love and Hip-hop but, I hate that they call it “reality TV” when it’s scripted and is not an accurate representation of a specific culture. Because there is a generation that models that behavior and those ideals as if they are the truth. Hip-hop and pop culture have been one of the most influential factors in education and our youth for decades. Not only because of the mindset it creates and the behavior patterns it develops but, because of the values it instills. Hip Hop influences our spending patterns, our clothing trends, what we discuss and what society cares about. So many of our young people get caught up “acting “ in a world of real-life consequences and by the time they get back to reality then it’s too late. That’s why dreams are important and we have to change what they are acting like. We need more fifth graders acting like engineers early or high schoolers acting like accountants. We need young women acting like scientists and young men acting like entrepreneurs. This can happen if we show them the way. It is our job to show them who they can become. DS: What is your advice to young people aspiring to achieve similar career goals? What are your words of wisdom to those that want to break barriers and accomplish things that others could never fathom? PWR: My advice for anyone is—just start. Believe in yourself, pursue your passion and patiently wait for results. It sounds so easy but it’s not always a given. While pursuing my dreams, I still had to live and pay my bills so a year and a half before I quit my day job to pursue my passion full time, I worked extremely hard to create a plan and build up the courage that would allow me to truly chase my dreams. As soon as you believe you can then you should start doing. Create around your strengths, organize around your weaknesses, and learn the business of your dream as soon as possible. Dom: From your perspective as an educator, what are the most pressing goals and challenges that our generation is facing? How do we avoid apathy and pursue problem-solving to help our youth achieve great things? Pat: There are a ton of social and structural problems in education. However, the most pressing challenges, as it relates to public education in our country is exposure and access. We have to expose students and communities to quality education and the benefits of that education. They have to be able to see, touch, hear and taste it. Education has to be a hands on experience. Access to resources and experiences is also a major factor. Students and families have to have access to the resources that make the education valuable. One of the reasons some communities struggle with understanding the value of a quality education is because we perceive the "pay-off" is so far down the line and not a proven or quick ROI. We have to provide access to resources that will help families now and show them the long-term benefits of a quality education and how it positively impacts generations. 1) I'm always at "Little Donkey,” a taco restaurant in Germantown. They have $2 tacos from 3PM-6PM daily. 2) Attending a Nashville Sounds game. It is my “happy place” where I can relax and just chill when I am there. 3)Rooftop hop- that's my new thing. I enjoy the views and love to take meetings in some of the cool new rooftop locations. 4) Eating at Slim and Husky's -best pizza around, hands down. 5) Attending Mckissack Middle School sporting events! I love watching the students I teach and work with, competing outside of the classroom. I think some of them are the best versions of themselves between the line. They have peace there and not just around winning and losing but just playing. Dom: How does it feel to be a published author? What emotions do you feel when you are granted the opportunity to share your work with the world? Pat: Recently, I received an order for 100 books in the mail and just stared at them. I opened the box, grabbed a handful of MY books and just smelled them. That was a surreal moment. Being a published author is a reminder of the endless possibilities we can pursue. Sharing my thoughts with the world is exhilarating. Especially when people reach out to tell me saying the words that I wrote—meant something to them. I don't take that for granted, the ability to connect with people in the way is very special. We've sold over 1000 copies and I still smell a few in each shipment. Dom: What are the most pressing issues that we face when educating our black and brown youth? How are you helping to combat the statistics as an educator? Pat: The most pressing issue for our black and brown youth aside from access to quality education and exposure is representation and value structure. What our black and brown young people see and believe is killing them. Literally, mentally, and spiritually. I often tell people I don't have problems with shows like Love and Hip-hop but, I hate that they call it "reality TV” when it's scripted and is not an accurate representation of a specific culture. Because there is a generation that models that behavior and those ideals as if they are the truth. Hip-hop and pop culture have been one of the most influential factors in education and our youth for decades. Not only because of the mindset it creates and the behavior patterns it develops but, because of the values it instills. Hip Hop influences our spending patterns, our clothing trends, what we discuss and what society cares about. So many of our young people get caught up "acting " in a world of real-life consequences and by the time they get back to reality then it's too late. That’s why dreams are important and we have to change what they are acting like. We need more fifth graders acting like engineers early or high schoolers acting like accountants. We need young women acting like a scientist and young men acting like engineers. This can happen if we show them the way. It is our job to show them who they can become. Dom: What does it mean to leave a legacy? Pat: Legacy is a big word, because it encompasses a lifetime. Legacy is what you leave behind and how you made people feel. Legacy is seeing people you haven’t met being able to benefit from work you did long after you are gone. Legacy is providing for people you love, that you will never meet yet knowing they will be able to eat long after you are gone.